Anderson Silva losing to Chris Weidman toppled a lot of dominoes. 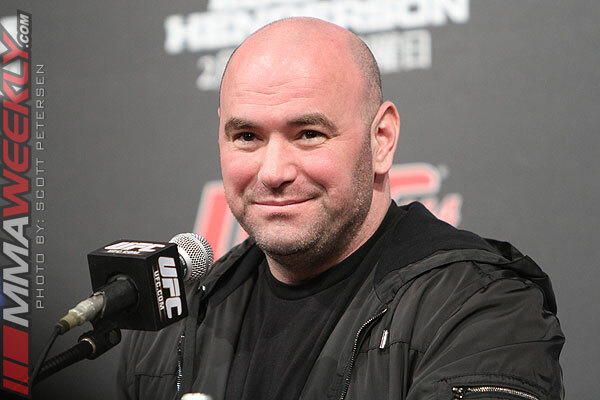 Not only did Silva lose his UFC middleweight championship and take a hit to his stake as the best pound-for-pound fighter in the world, his loss sent UFC president Dana White’s hopes for a superfight into a tailspin. White isn’t exactly crying in his beer over the change in plans. He wanted to put on a superfight between Silva and light heavyweight champion Jon Jones or Silva and welterweight champ Georges St-Pierre, but he also believes a rematch between Silva and Weidman will be a monumental bout.